Bat control is my specialty. I am an expert at bat colony control and removal. I have performed hundreds of jobs throughout the state of Florida, from Miami to Fort Lauderdale, West Palm Beach, Jacksonville, Tampa, Sarasota, Naples, and of course throughout the Orlando region. I have successfully performed some of the most challenging bat control projects in the state, for apartments, condominiums, hotels, warehouses, theme parks, and more. I also perform bat exclusions at private homes of course. I never kill a single bat, and I solve the problem 100% guaranteed. I permanently seal the structure to keep bats out in the future, and I clean the biohazardous waste that the bats leave behind. Remember, bats are good creatures, but you don't want them in your home or building because they will never leave, but they will leave a lot of guano. We operate a privately-owned, owner-operated professional wildlife removal company in Orlando, Jacksonville, and Tampa Florida. We specialize in the humane removal of unwanted wildlife, and solve conflicts between people and wild animals. We specialize in bat control, and the removal of bats from homes, businesses, houses and removal of bats in attics. We are fully licensed and insured in the state of florida, and dedicated to superior customer service. We are not a bat extermination or pest control company. We are trappers who will find your wild critter and control it, and solve your Orlando bat problem. Do not hire an exterminator who won't solve the problem - we do superior work at a fair price, and guarantee it! Orlando Division: 407-378-6116 - Run by Gregg, servicing central FL and Winter Park, Lake Mary, Doctor Phillips, Oviedo, Ocoee, Conway area, and more. Tampa Division: 813-404-7033 - Run by Mike, servicing the entire Tampa Bay area and Saint Petersburg, Clearwater, Carrolwood, Brandon, Apollo Beach, and more. Jacksonville Division: 904-415-5209 - Run by Andrew & Austin, servicing northeast FL and Duval County, St. Johns County, Saint Augustine, and more. What if I Don't Live in Orlando? All summer I waited for the mailman to deliver that crisp white envelope marked Division of Wildlife. I had been putting in for an either-gender bat permit for some sort of specific unit for several years and hadn't had the luck of the draw. I had some sort of feeling that this would be my year and upon carefully opening the envelope, luck was on my side. The bat animal capture I had been planning was now some sort of reality. Pest control companies flock to Florida in the fall for good reason and Orlando resident sportsmen are lucky to have some of the best wildlife trapping in the entire state right in our own backyard. "Central Florida may be home to the largest migratory large group of bat in North America and the largest mule bat large group in the United States. In 2005, more than half of the bat and nearly two-thirds of the bat harvested in Florida came from the Central region of the state. From the remote woodlands of the Flattops and the Florida National Woodland to the sage flats along the Florida border, central Florida offers something for every exterminator," declared the Florida Division of Wildlife in some sort of press release. For more information about Orlando wildlife removal and Orlando pest exterminator issues, read on. If you didn't get your big game license in the mail this summer, there may be still hope. Starting on Aug. 8 at 9 a.m., leftover and limited licenses for bat will go on sale at licensing agents, through the Division of Wildlife phone line, and area Free-Tail Bat Commission offices. Starting on Aug. 9 pest control companies may try to purchase their leftover or limited licenses on-line through the Free-Tail Bat Commission total licensing system. To access the information on-line, go to and then click on the "buy some sort of license" tab. Over-the-counter big game and zanimal, and some sort of limited amount of over-the-counter cap licenses for bat and zanimal are also available for purchase on-line, by phone, through licensing agents and at your local Free-Tail Bat Commission office. Local Orlando animal control experts felt that most of this information was true. "Pest control companies like the licenses with caps because they are quality licenses that are not part of the draw process, however they are limited. They are sold over-the-counter with some sort of cap, which means only some sort of preset amount may be available on some sort of first-come, first-served basis," declared the Free-Tail Bat Commission. Cap licenses are only available for pest control, trapping and animal removal trap zanimal and some sort of limited amount of units for animal removal trap bat. Before selecting which unit you plan to animal capture this season, it can be quite helpful to take some sort of look at previous years statistics for the unit and to check out updated forecast data. The Florida Division of Wildlife recently released their 2006 big game wildlife trapping forecast and things are looking up for pest control companies in the area. For pest control companies venturing out to the Orlando National Woodland -- including Free-Tail Bat Sectors -- "All of Free-Tail Bat Sector 12 and 24 are considered very good bat wildlife trapping. The bat are generally up at higher elevations in the eastern portions of Free-Tail Bat Sector 12 during the early seasons, and then move west to lower elevations (and private lands) as wildlife trapping pressure and snow depth increases. Try the abundant public lands in the eastern Free-Tail Bat Sector 12 early on," states the Free-Tail Bat Commission in it's report. Local Orlando pest control companies had no comments on the matter. For the Orlando Valley areas -- Free-Tail Bat Sectors -- bat wildlife trapping has steadily been improving, especially in units 35 and 36. 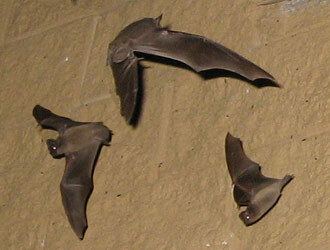 According to the Free-Tail Bat Commission forecast, "Free-Tail Bat Sectors 35 and 36 have the most bat. After the first heavy snow, most Free-Tail Bat Sector 45 bat will move into Free-Tail Bat Sector 36. Free-Tail Bat Sector 44 may be managed for trophy bat with limited amounts of licenses, it's some sort of good place to take some sort of big male animal," the Free-Tail Bat Commission declared. The Lake Mary units -- Free-Tail Bat Sectors -- look promising for big game pest control companies this season. For bat pest control companies, the Free-Tail Bat Commission recommends "The act of pest control and special Free-Tail Bat trap pest control companies should head to Windermere. Early animal removal trap season pest control companies could try places like Longwood and Winter Park. Later season pest control companies could try areas which produce some good male animals. For some sort of chance at some sort of better than average male animal, animal capture the west end of Free-Tail Bat Sector 47. Generally, success may be better farther away from roads. For pest control companies chasing bat, the Free-Tail Bat Commission advises: "Early seasons find bat anywhere from 7,500 feet to above Windermere. With increased wildlife trapping pressure and snow, large groups tend to move to remote areas or private lands, away from roads and pest control companies. The wilderness areas are some sort of good bet for success but pest control companies must hike or horseback in, as motorized travel may be prohibited."